BOSTON — With the opening tip of the 2018-19 regular season 10 hours away, the Sixers took the court at TD Garden on Tuesday morning for a shoot-around. Accompanying them were a number of questions that we will begin to get the answers to tonight. 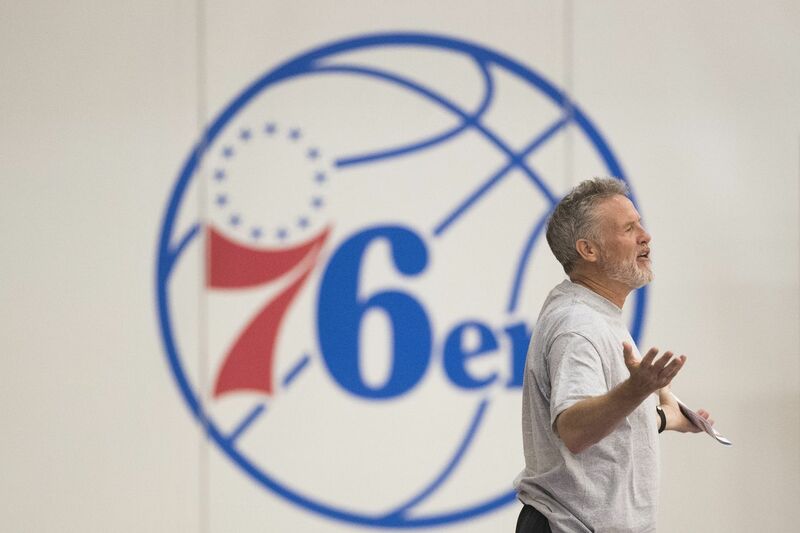 1) What will the Sixers rotation look like beyond the top six? The Sixers did not envision Wilson Chandler and Mike Muscala as difference-makers when they acquired them in a pair of offseason trades, but they did expect the duo to fill a couple of vital roles off the bench. However, neither player will be in uniform tonight, with Chandler battling a hamstring injury that could keep him out well into November and Muscala battling an ankle injury for which Brett Brown could/would offer no definitive timetable at the shoot-around at TD Garden. At this point, all that we know is that Markelle Fultz will be starting, with JJ Redick coming off the bench. Amir Johnson should get some decent minutes as the only big man off the bench. Also expected to be in the mix are T.J. McConnell and Landry Shamet, with Jonah Bolden potentially getting some minutes at the four to spell Dario Saric. Back before Ersan Ilyasova and Marco Belinelli joined the team, the starters were each getting between 30 and 35 minutes a night, with McConnell coming off the bench for 20 minutes. Perhaps that holds true, except with Redick getting 30 minutes off the bench and Fultz 20ish while starting. Johnson would get his usual 15 in place of Embiid. That would still leave roughly 35-40 minutes unaccounted for. Last season, just before Ilyasova arrived, those minutes were being taken up by Trevor Booker, Jerryd Bayless and Justin Anderson. At this point, it sounds as if those minutes could be going to McConnell and rookies Shamet and Bolden. At shoot-around, Brown said Shamet would play some minutes tonight. Later, he name-checked Bolden, who could conceivably used in a Bookerish role to spell Saric. 2) What should we expect out of Markelle Fultz in his 2019 debut? Fultz will be starting. Beyond that, it's anybody's guess as to how Brown will cycle him in and out of the game. The Sixers coach said he expects Boston to play off Fultz to start the game, an acknowledgment that the second-year guard has yet to show a willingness to shoot from three-point range (he was 1-of-5 during the preseason, his lone make a wide-open look in transition from the corner). That will make for some interesting watching when Fultz is on the court with Ben Simmons. Last year, in the postseason, the Celtics routinely played off the Rookie of the Year, daring him to shoot. What will the Sixers offense look like when Simmons is paired with another player who is not a three-point shooter? Markelle Fultz, left, will start for the Sixers in the season opener. 3) Can the Sixers stop the Celtics? Throughout the offseason, there's been a lot of focus on the offensive skill sets of players such as Simmons, Fultz and Embiid. That's understandable, but it also doesn't account for one of the biggest factors that led to the Sixers' five-game defeat to the Celtics last postseason. All training camp, the Sixers have worked on revamping their defense against five-out sets like the ones Boston coach Brad Stevens threw at them in the Eastern Conference semifinals, which feature all five players spacing the floor beyond the three-point line. The Sixers simply were not able to guard Boston in isolation, and the presence of Al Horford beyond the three-point line drew Embiid out away from the basket, limiting his ability to alter shots at the rim. The beginning of the season is as much about process as it is about results. In addition to the scoreboard, keep an eye on how the Sixers go about defending Boston. With Horford and Marcus Morris, the Celtics have two big men who shot better than 36.5 percent on 3+ three-point attempts per game last season. Combined with Kyrie Irving, Jaylen Brown, Jayson Tatum, Terry Rozier and Gordon Hayward, Boston can go to a number of lineups that feature five three-point threats. That's a daunting challenge for a Sixers team that plans to do more switching this season to counteract the ball screens that are prevalent in those sets. But it's a challenge they will need to answer this season. "I think it is a blessing, Brown said. "You've heard me say this. It's trying to prepare for the best, the evolving door of NBA schemes. And it sure is becoming a five-out sport with some of the better teams. And it is really a copycat league, and so you are seeing it more and more. "The thing that doesn't allow it to become a copycat league is when one of those fives can't shoot. And so when you are finding coaches who have one of the bigger guys who can shoot, you are seeing a lot of the five-out environments. I think it's great. Let's jump into it; let's test-drive it and see where we are at. I'm excited to try to guard this tonight. I think we'll learn a lot." The finding out starts tonight.